PASADENA, Calif. - NASA's Cassini spacecraft has detected propylene, a chemical used to make food-storage containers, car bumpers and other consumer products, on Saturn's moon Titan. This is the first definitive detection of the plastic ingredient on any moon or planet, other than Earth. 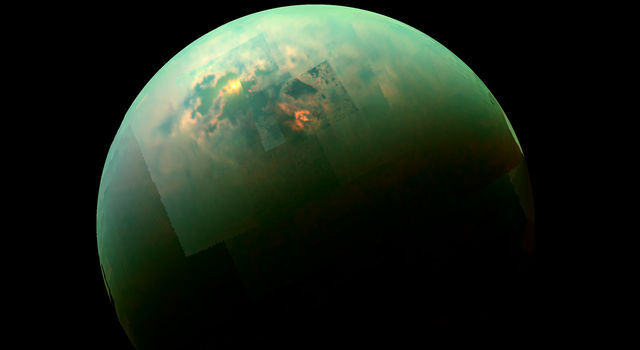 A small amount of propylene was identified in Titan's lower atmosphere by Cassini's composite infrared spectrometer (CIRS). This instrument measures the infrared light, or heat radiation, emitted from Saturn and its moons in much the same way our hands feel the warmth of a fire. Propylene is the first molecule to be discovered on Titan using CIRS. By isolating the same signal at various altitudes within the lower atmosphere, researchers identified the chemical with a high degree of confidence. 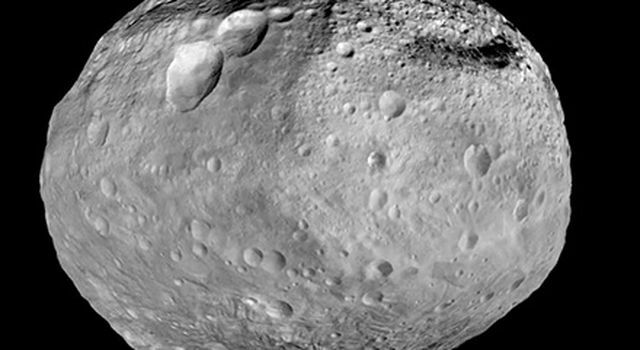 Details are presented in a paper in the Sept. 30 edition of the Astrophysical Journal Letters. "This chemical is all around us in everyday life, strung together in long chains to form a plastic called polypropylene," said Conor Nixon, a planetary scientist at NASA's Goddard Space Flight Center in Greenbelt, Md., and lead author of the paper. "That plastic container at the grocery store with the recycling code 5 on the bottom -- that's polypropylene." CIRS can identify a particular gas glowing in the lower layers of the atmosphere from its unique thermal fingerprint. The challenge is to isolate this one signature from the signals of all other gases around it. The detection of the chemical fills in a mysterious gap in Titan observations that dates back to NASA's Voyager 1 spacecraft and the first-ever close flyby of this moon in 1980. Voyager identified many of the gases in Titan's hazy brownish atmosphere as hydrocarbons, the chemicals that primarily make up petroleum and other fossil fuels on Earth. On Titan, hydrocarbons form after sunlight breaks apart methane, the second-most plentiful gas in that atmosphere. The newly freed fragments can link up to form chains with two, three or more carbons. The family of chemicals with two carbons includes the flammable gas ethane. Propane, a common fuel for portable stoves, belongs to the three-carbon family. 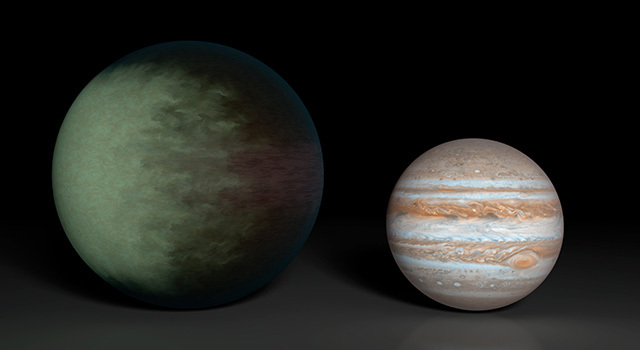 Previously, Voyager found propane, the heaviest member of the three-carbon family, and propyne, one of the lightest members. But the middle chemicals, one of which is propylene, were missing. As researchers continued to discover more and more chemicals in Titan's atmosphere using ground- and space-based instruments, propylene was one that remained elusive. It was finally found as a result of more detailed analysis of the CIRS data. "This measurement was very difficult to make because propylene's weak signature is crowded by related chemicals with much stronger signals," said Michael Flasar, Goddard scientist and principal investigator for CIRS. "This success boosts our confidence that we will find still more chemicals long hidden in Titan's atmosphere." Cassini's mass spectrometer, a device that looks at the composition of Titan's atmosphere, had hinted earlier that propylene might be present in the upper atmosphere. However, a positive identification had not been made. "I am always excited when scientists discover a molecule that has never been observed before in an atmosphere," said Scott Edgington, Cassini's deputy project scientist at NASA's Jet Propulsion Laboratory in Pasadena, Calif. "This new piece of the puzzle will provide an additional test of how well we understand the chemical zoo that makes up Titan's atmosphere." The Cassini-Huygens mission is a cooperative project of NASA, the European Space Agency and the Italian Space Agency. 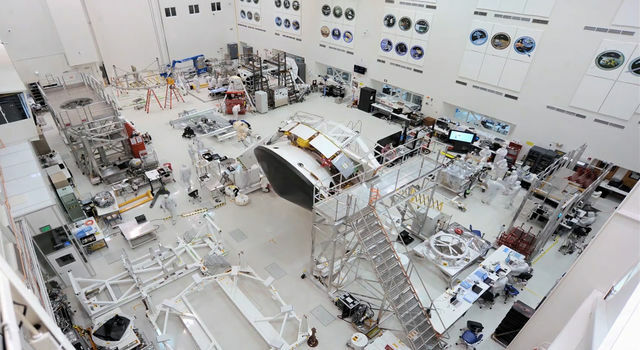 JPL, a division of the California Institute of Technology, Pasadena, manages the mission for NASA's Science Mission Directorate in Washington. The CIRS team is based at Goddard. For more information about the Cassini mission, visit: http://www.nasa.gov/cassini and http://saturn.jpl.nasa.gov .